For me, it's Thailand that knows how to hold sporting events. 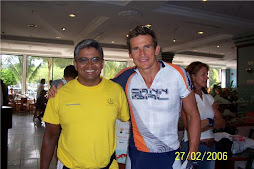 They are nice to visitors, smile a lot, gentle in their demeanour, respect elders and are able to get amazing sponsors. I've never had a bad moment there. 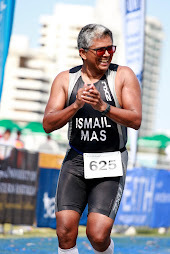 I started going there in 1994 for the Laguna Phuket Triathlon at the extremely plush Laguna Beach Resort. That first event in 1994 was jaw dropping for me. 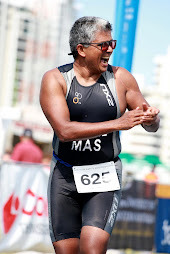 Just two weeks after the Hawaii Ironman Triathlon World Championships (which was my first Ironman), all of my heroes, the Professional Triathletes were there to wind down their season. We were bumping into the Pros (Mike Pigg, Mark Allen, Paula Newby, Karen Smyers, Simon Lessing, Lothar Leder, Wendy Ingraham) just everywhere. They turned out to be just simple folks. The host hotel, Laguna Beach Resort was the most plush Resort I had ever been to. The food at the Awards Dinner was amazing, one buffet table had only ice cream on it, nothing else. 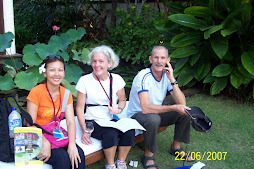 First time I was exposed to luxurious Thai hospitality. 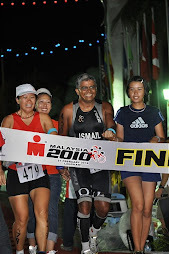 Subsequent Triathlons and Marathons there were still good but not the dizzying heights of the first year (1994). 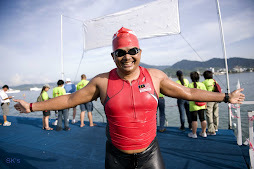 For the past two or three years for me, it was just open water swim events. Whilst they may be at nice beach locations, all of the swims I've participated in, didn't have the full backing of a luxury hotel, until now. 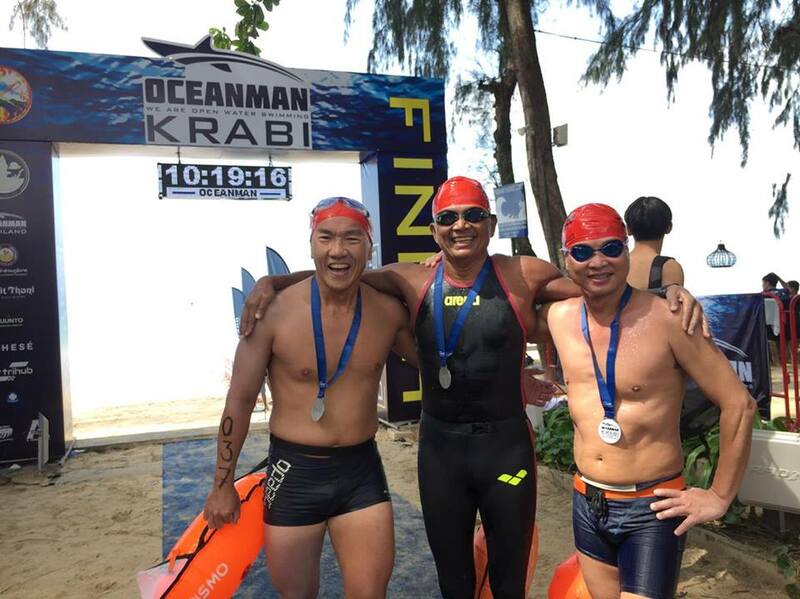 Oceanman Krabi had the full backing of the luxurious Dusit Thani Beach Resort, only in Thailand this happens. The Dusit Thani Krabi Beach Resort was the official host hotel for the inaugural Oceanman swim event in Thailand. They made their luxurious grounds available as the Race Secretariat, hosted the carbo loading dinner and Awards Dinner. 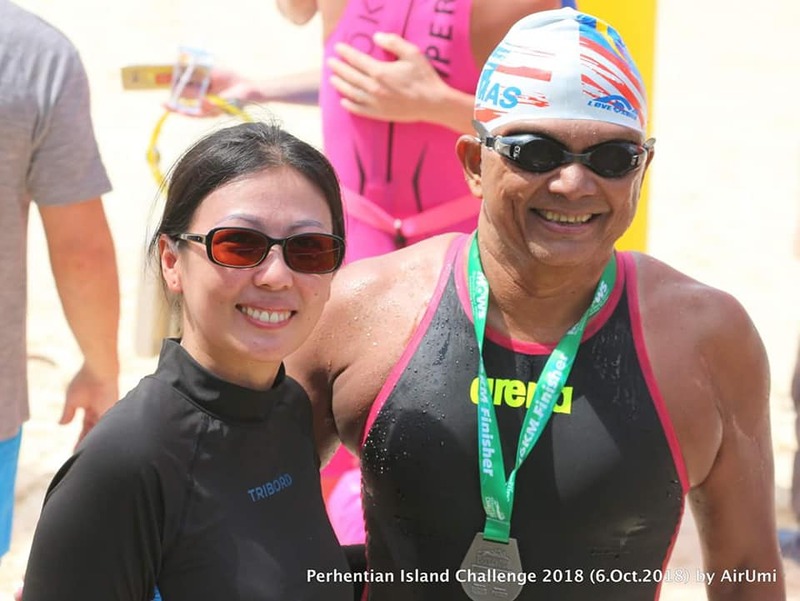 I have not seen this happen for a swim event. The Klong Muang Beach and sun set was also very nice. 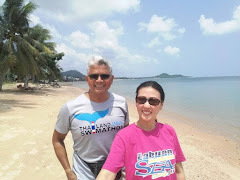 I have never been to Krabi, which is one of the top tourist spots in the world. I quite like Krabi. It is quieter than Pattaya or Phuket. Much easier to drive. The car rental at the airport was super cheap. 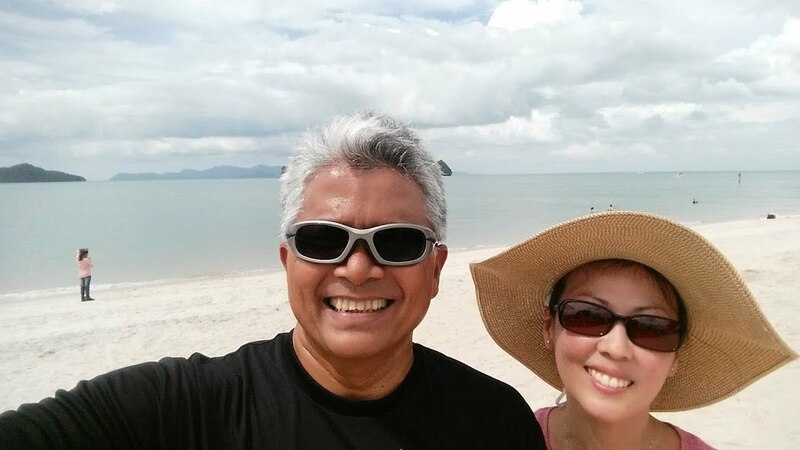 I can hardly wait returning to Krabi for many years to come. 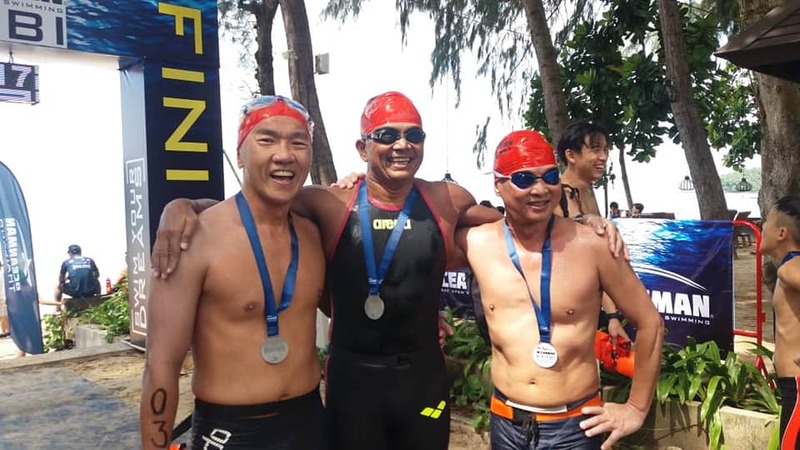 Apart from The Dusit Thani, the event was also supported by the Tourism Authority of Thailand, Provincial Government, The Governor, Tourist Police, Thailand's Navy Rescue etc. 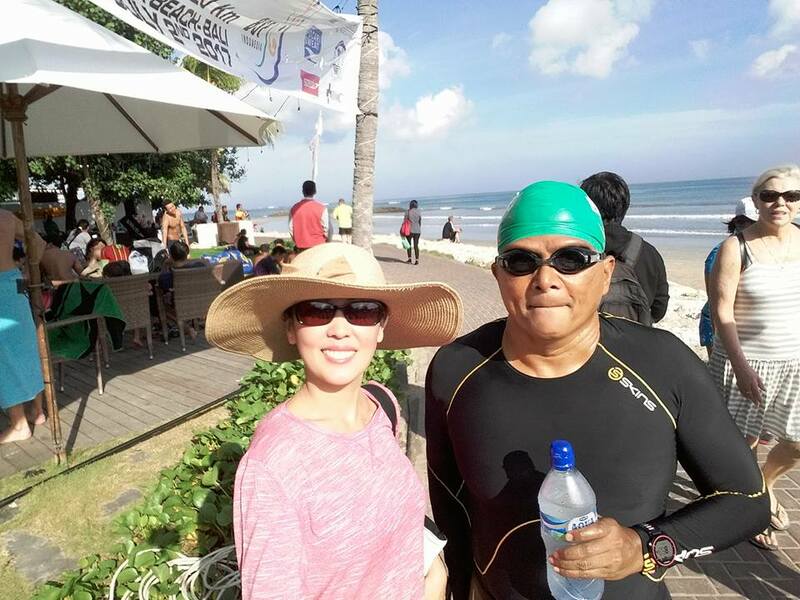 In 2016, Thailand Swimathon organized an incredibly successful international swim event at Pattaya. 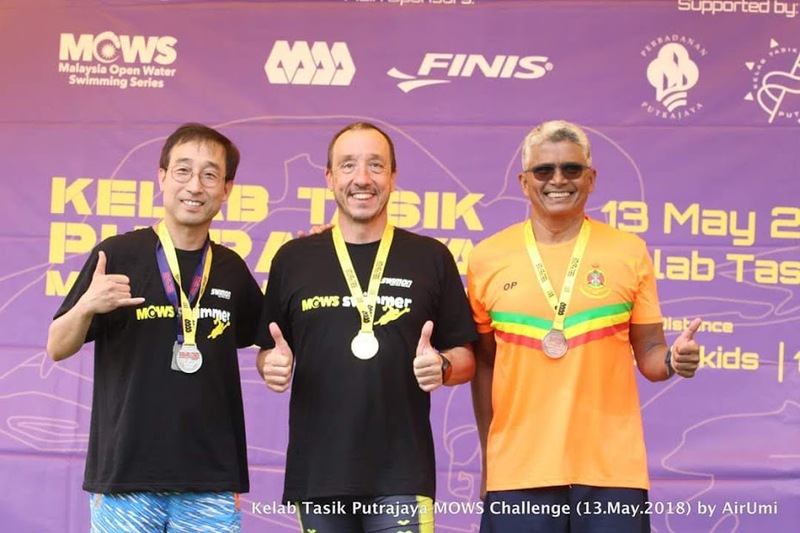 They repeated the event in 2017, again a very well done event. 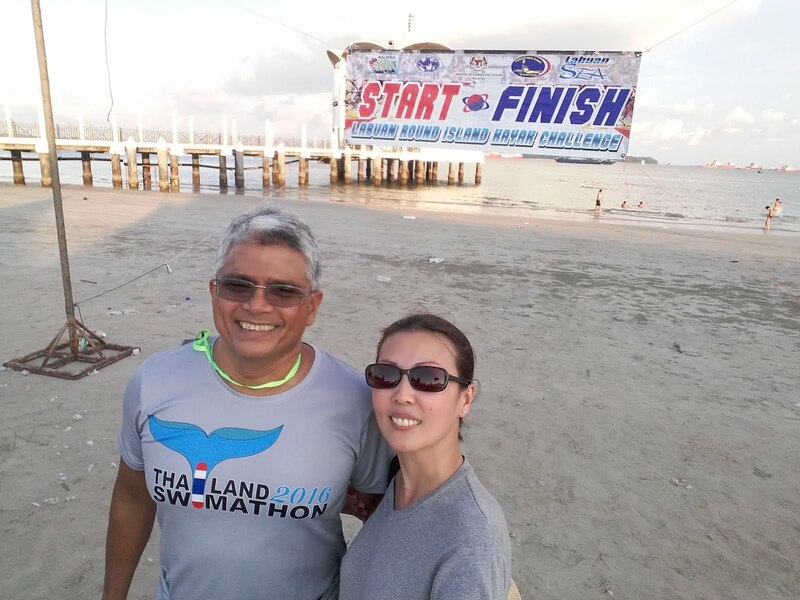 In between they organized a 12km swim from Koh Pha Ngan to Koh Samui. All really excellent events with a very high focus on swimmers' safety. 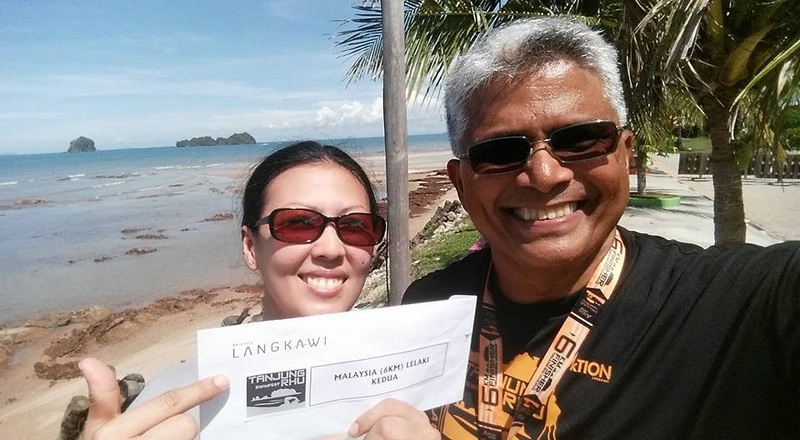 So I am very familiar with the organisers (Anusit and Auttapon). 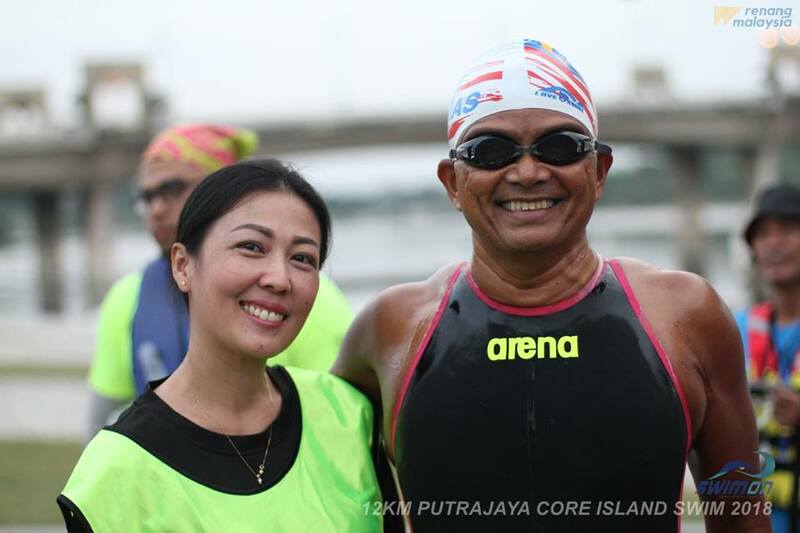 I know swimmers will get a wonderful and safe swim experience, way above the entry fee paid when they are involved. Air Asia flies there regularly. A car can be rented through Air Asia Go easily and cheaply. Hotel bookings are easy to do, depending on one's budget. 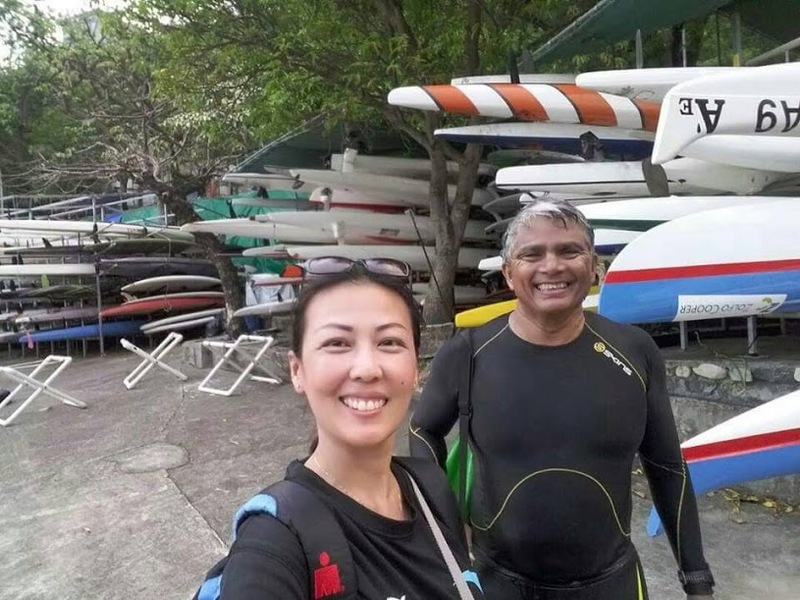 There are islands, rock climbing, tigers, trekking, caves etc. A great and still quiet destination to visit. We stayed along a quiet road not far from the Klong Muang Beach. With a rented car, it wasn't difficult to find restaurants and grocery shops. 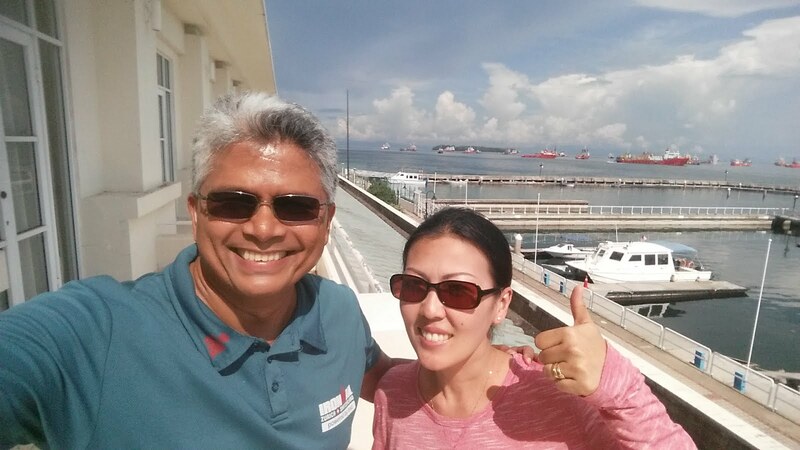 The Race Secretariat was at the plush grounds of the Dusit Thani. The supervised swim course was open for training. I saw the Thai Navy Rescue so very hard at work setting up the course. Briefing was carried out just before the Carbo Loading Dinner by Auttapon. The Dinner was crowded as everyone was there with their loved ones. 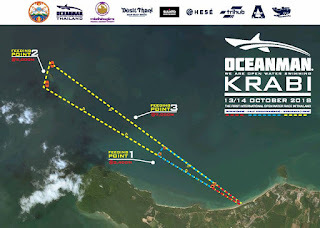 The swim course for all distances was quite similar. Out parallel to the coastline, right 90 degrees for a few meters, then back to the start. For the 10km, swimmers go out 4.8km, right for 400m going behind Ko Deang (island) then back to the start. 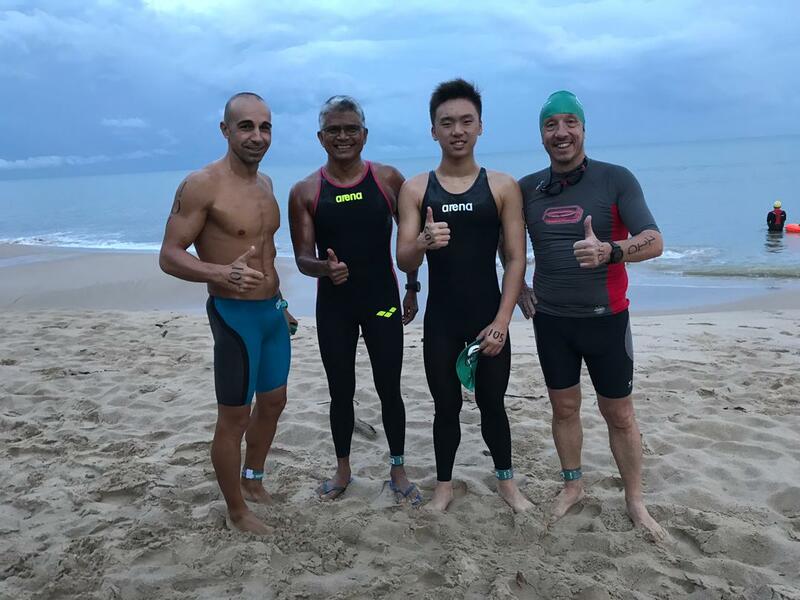 After going out for about 3km, the course did not receive the protection of the peninsula coastline. It was just the open sea. Waves and currents were actually the strongest I have ever encountered, close to the turnaround (Ko Daeng). 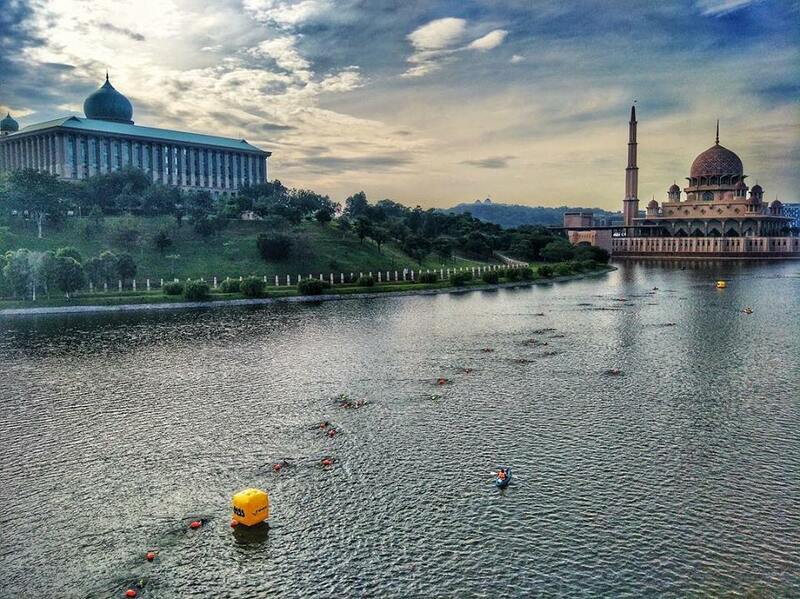 For about 500m, 10km swimmers were swimming through rubbish. Not sure where the rubbish came from. Many rocks at the turnaround. It was very dangerous with the unexpected very strong currents. 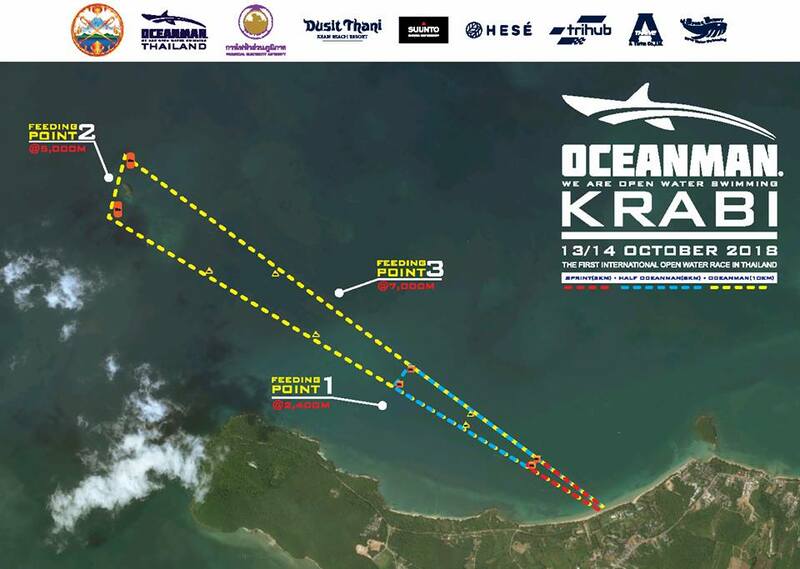 Approximately half the 10km swimmers were safely rescued by the Thai Navy Rescue Team (hoorah). I wonder how many swimmers actually went around the turnaround buoy. It took me a very long time and unfortunately I saw swimmers that didn't. There were no turnaround referees. The feeding boat behind the island couldn't hold its position. 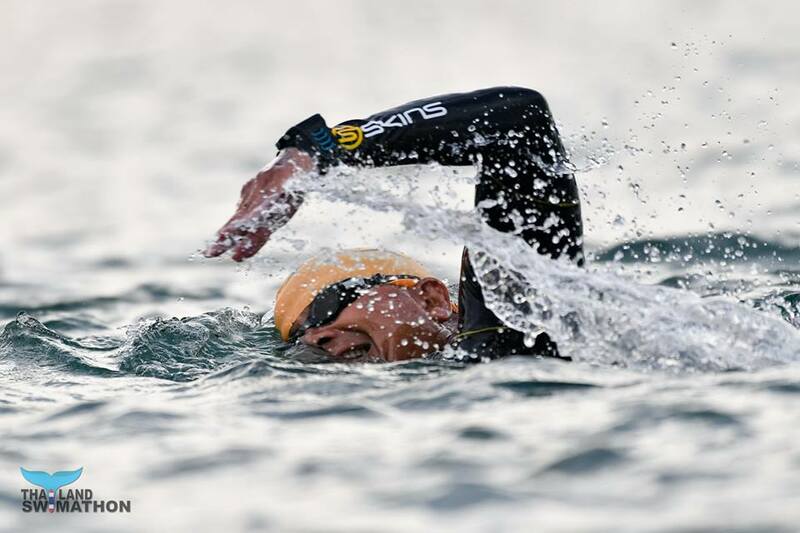 On the way back, swimmers were taken off course by the strong currents. We didn't see the marker buoys or even the last feeding boat. But it was much faster swimming back inspite going off course. 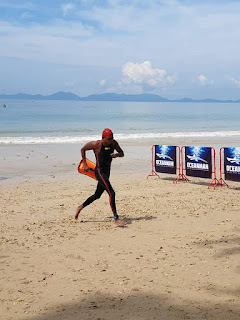 There was a very visible "natural course marker" (Dragon Crest mountain tip) that swimmers could have easily used for sighting purposes on the way back, but unfortunately we didn't know about this. 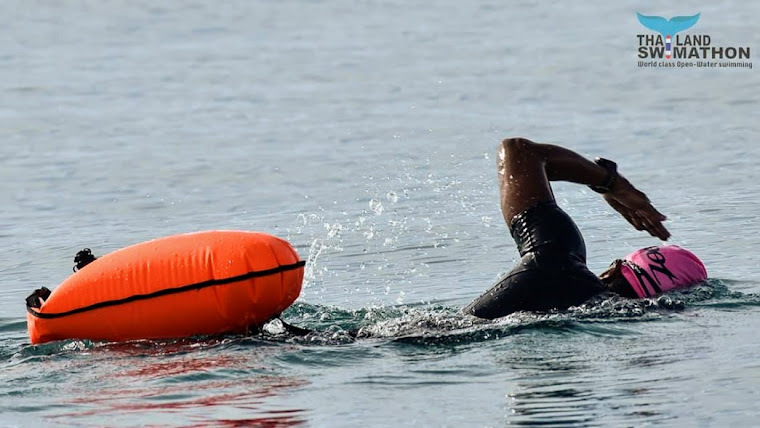 It was unfortunate that on race morning, the currents were unexpectedly very strong. The Thai Navy Rescue did an excellent job. All swimmers came back safely. 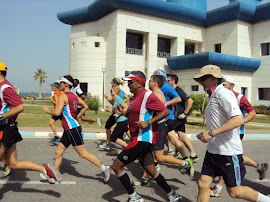 The 10km started at 6.36 a.m. The sea looked beautiful and super calm from the beach. Buoys were visible on the way out. I consciously missed the first feeding boat at about 2.6km. 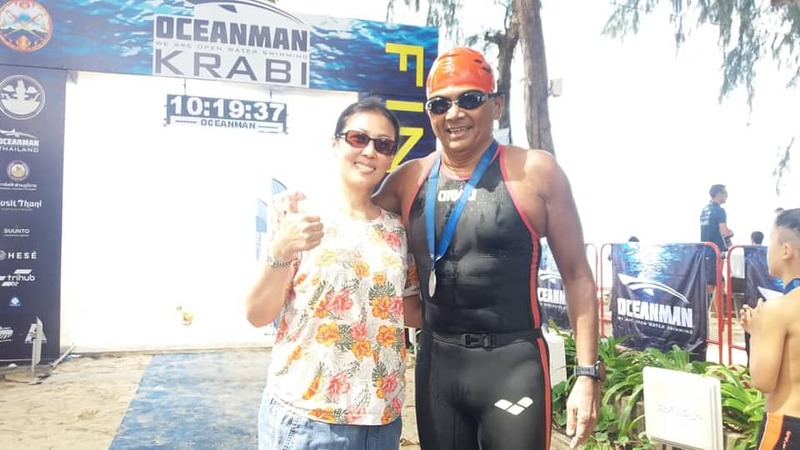 Oceanman Krabi did not allow swimmers to touch the feeding boats or kayaks on the course. At about 3km swimmers had to swim through rubbish. Currents were really strong at about 4km, the strongest I have ever encountered. I barely missed the rocks, phew. I knew the situation was very dangerous for average swimmers as even advanced swimmers could barely cope. 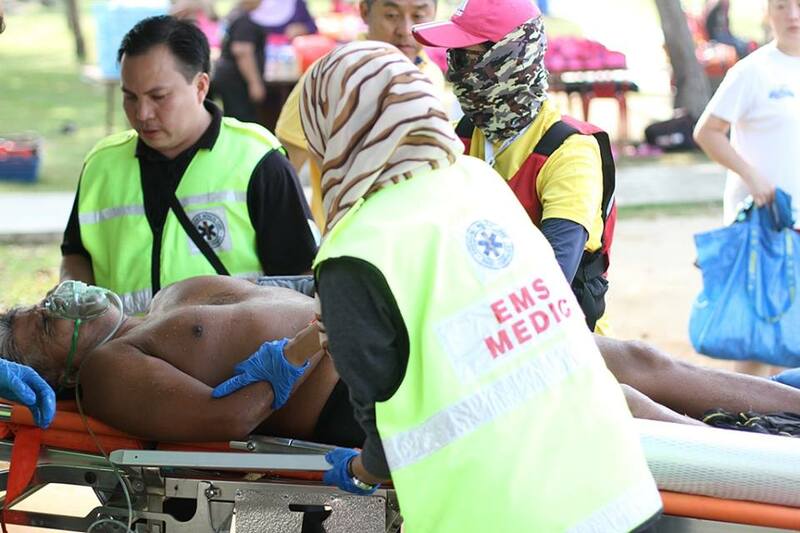 In fact even swimmers that have swam 16km, 61km etc had to be rescued. Anyway I managed to go around the two turnaround buoys and the swim back was also an adventure. 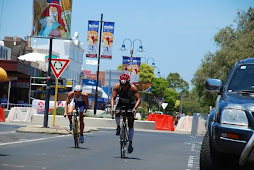 I overtook many swimmers on the way back. It was an exciting finish with my close friends from Malaysia. We loved the adrenalin rush. 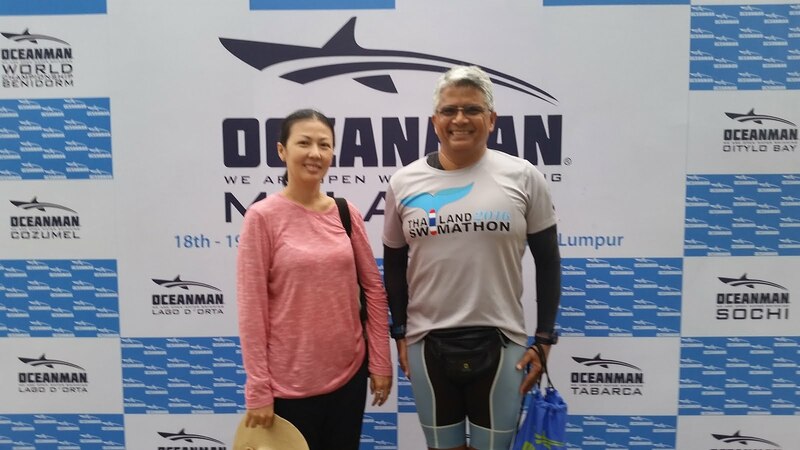 I absolutely love this event and appreciate the excellent work done by Anusit in securing a luxury hotel as the host and the excellent work done by Auttapon and the Thai Navy Rescue. All swimmers were saved. 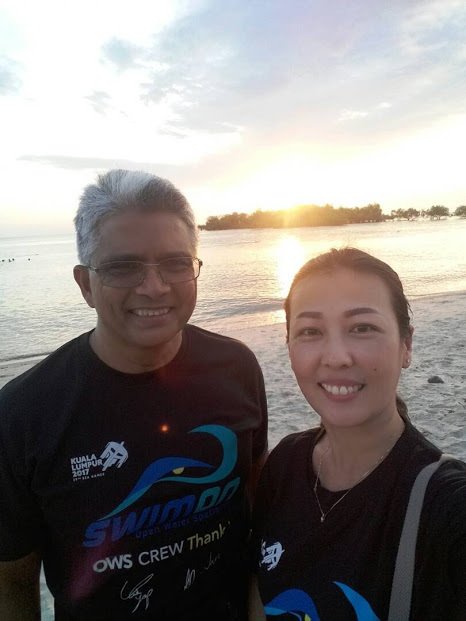 Two laps of 5km (2 x 5km) and all problems would be solved. Avoid Ko Daeng. 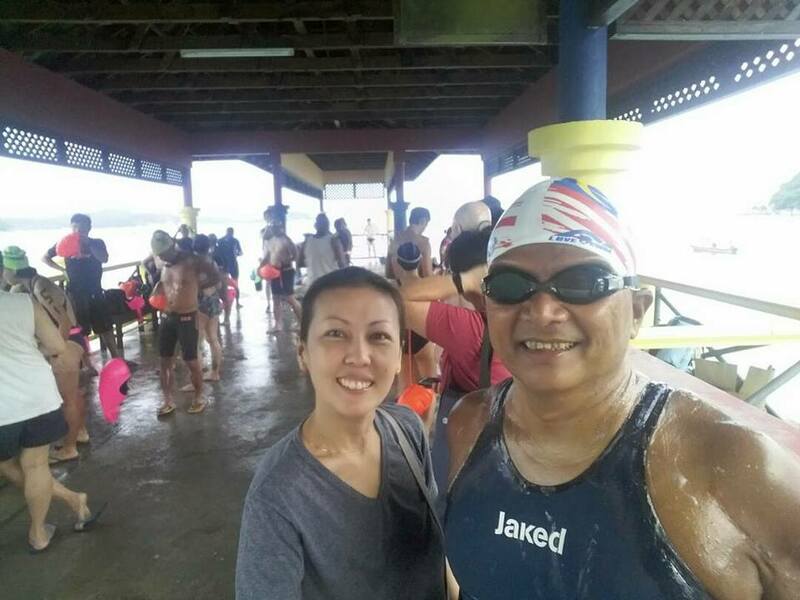 Advise swimmers to use the Dragon Crest mountain tip as their sighting point. Have referees at the turnaround buoys. The grandest prize giving dinner I have attended for a swim event. Free for swimmers. 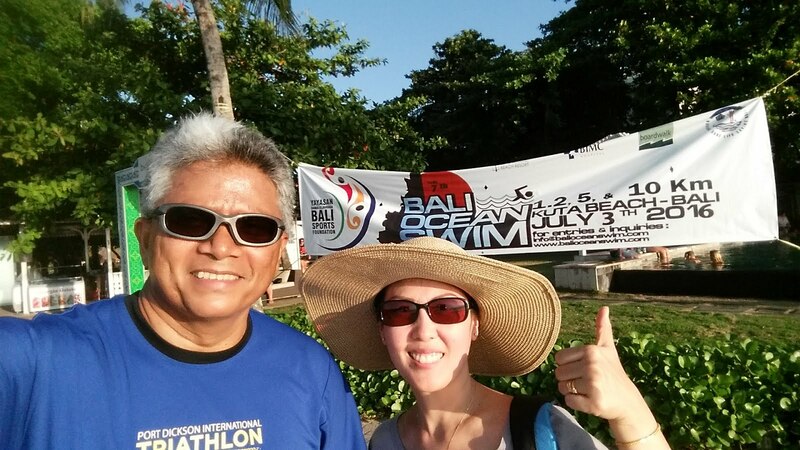 116 swimmers started the 10km. 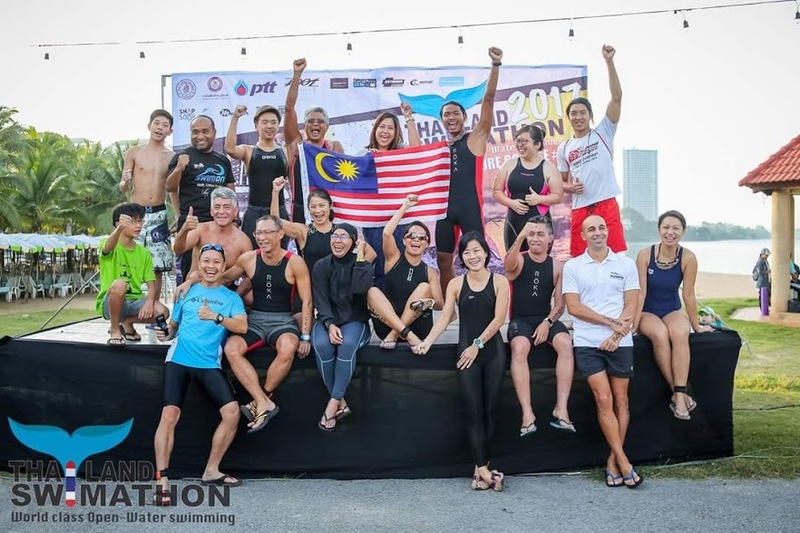 Only 61 swimmers officially finished (52%). 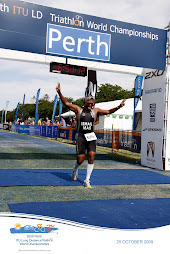 I was 23rd overall. 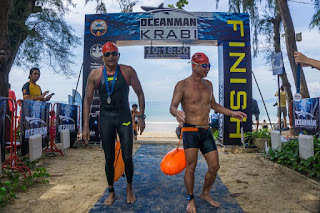 Thank you Oceanman Krabi for the best Oceanman I have participated in. I will definitely return for many years.